Norplex Communications (Nordrhein-westfalen, Niederkruechten) ist der Sitz des Apache/2 Servers. Ihre 2 Nameserver lauten ns.norplex-communications.com, und ns.norplex-communications.net. 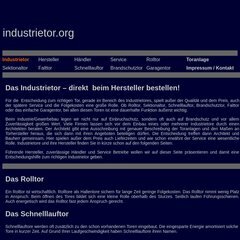 Die IP-Adresse der Webseite Industrietor.org lautet 85.114.145.99. PING www. (85.114.145.99) 56(84) bytes of data.